Although we’ve been largely sidetracked with the goings on of OS X 10.10 Yosemite and iOS 8, Apple is still working on improvements for the current software line-up, and in conjunction with the release of iOS 7.1.2 for those rocking an iPhone, iPad or iPod touch, the company has also rolled out OS X Mavericks 10.9.4. As implied by the build number, the update is a rather rudimentary one, with fixes to Wi-Fi and a slight bump for Safari, among a couple of other tweaks, and below, we’ve got a full round-up. 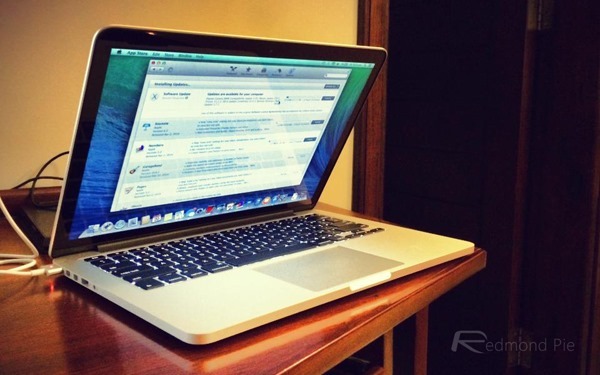 First and foremost, OS X 10.9.4 – build number 13E28 – corrects an issue relating to Wi-Fi. As reported by some users, Macs have been struggling to auto-connect to known Wi-Fi networks, but upon updating to this new build, affected users should that this problem has been fixed. A couple of other minor fixes have also been bundled in, including improved reliability when waking up from sleep mode, and Safari, the company’s main browser, now sits at version 7.0.5. 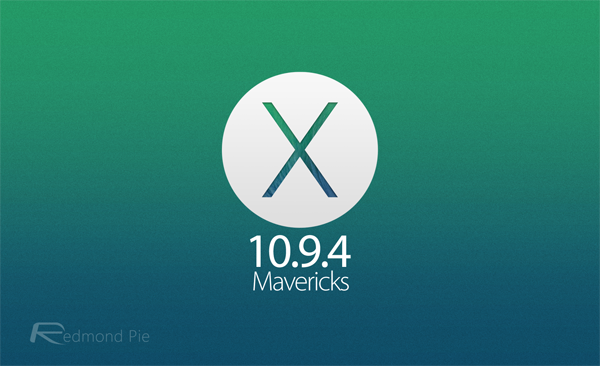 Although Mavericks is largely unchanged from the preceding Mountain Lion, Apple will be making quite a few adjustments with OS X 10.10 Yosemite, set for release this fall. Not only has the company revamped the entire aesthetic in line with the alterations it made with iOS 7 last year, but from a functional aspect, there’s much to be excited about. The ‘Continuity’ features, which further promote integration between iOS and OS X, are perhaps the most compelling of the Yosemite update, and as such, we cannot wait for the end user release later on this year. For now, though, we’ve to make do with OS X 10.9.4, which can be downloaded right now via the Mac App Store. Given that this release is still very much hot off the press, we haven’t had the opportunity to take a close-up look at it just yet, but we will be doing so over the next few hours. Should we stumble across anything interesting, noteworthy, or otherwise not mentioned in the change log, we will be sure to let you guys know, and hey, if you happen to find anything intriguing yourselves, be sure to drop a comment via the usual channels!